This Refurbished Dell OptiPlex 755 was developed through feedback from Dell customers, it offers remote management tools that help simplify upgrades, security, power consumption and even break/fix problems, so more can be done from one place: The IT professional's desk. And with Dell deployment services options, it comes as only Dell brings it to you: Customizable to meet specific needs so you can reduce operational costs, help increase productivity and be ready for what's next. This Refurbished Dell OptiPlex 755 offers enhanced management and control with Intel® vProTM processor technology, allowing IT staff excellent flexibility, high efficiency and reduced desk-side troubleshooting. So you can get more done around the office without having to run around - and you have more time for projects that can help an enterprise work better, faster and more efficiently. What's in The Box? 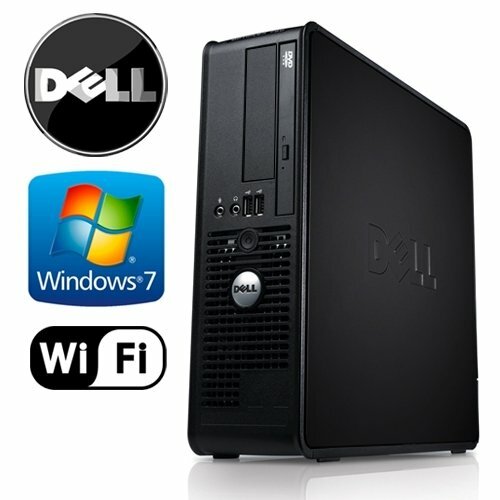 Refurbished Dell OptiPlex 755 SFF with Power Cable, New USB Keyboard & Mouse!